Hindavi Public School Satara (Hindavi Public School), Satara published a new job notification for Head Person, Assistant Teacher, Clerk, Computer Teacher & Peon Posts. The recruitment is for total 17 Vacancies. The willing candidates are informed to see the latest notification March 2019. Last Date of offline application is 23-04-2019. 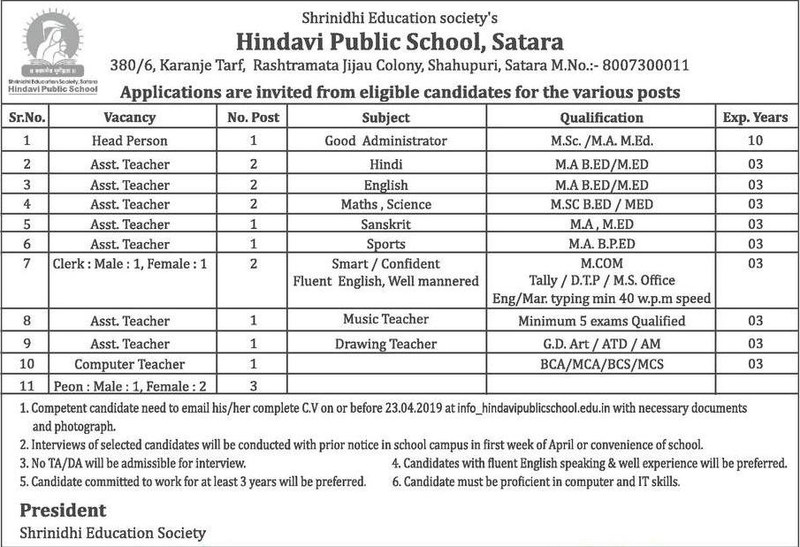 For More details of Hindavi Public School Satara Recruitment 2019 Read Below. Application starts offline 19-03-2019. Last Date of application is 23-04-2019.